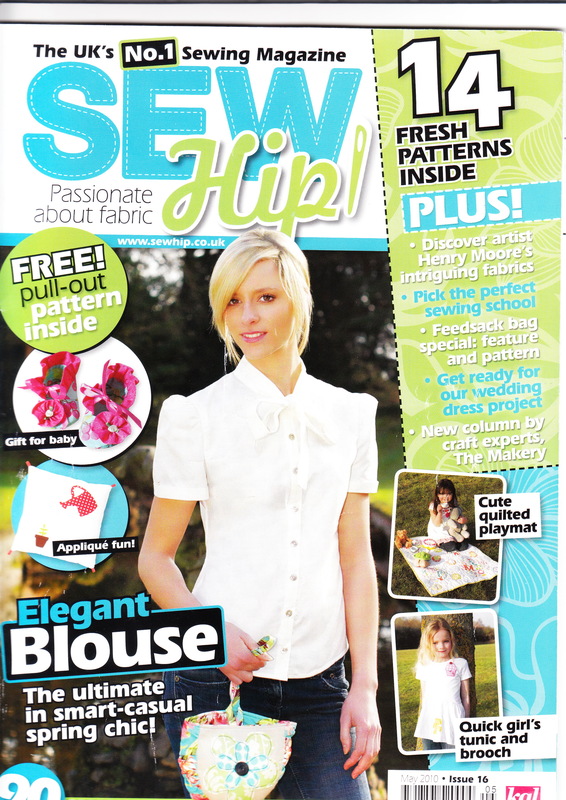 I used a pattern from a Sew Hip issue from last year – but it’s a simple pattern that you could make up yourself – you need five different sized circles and you could trace round pots and pans to get the circles. 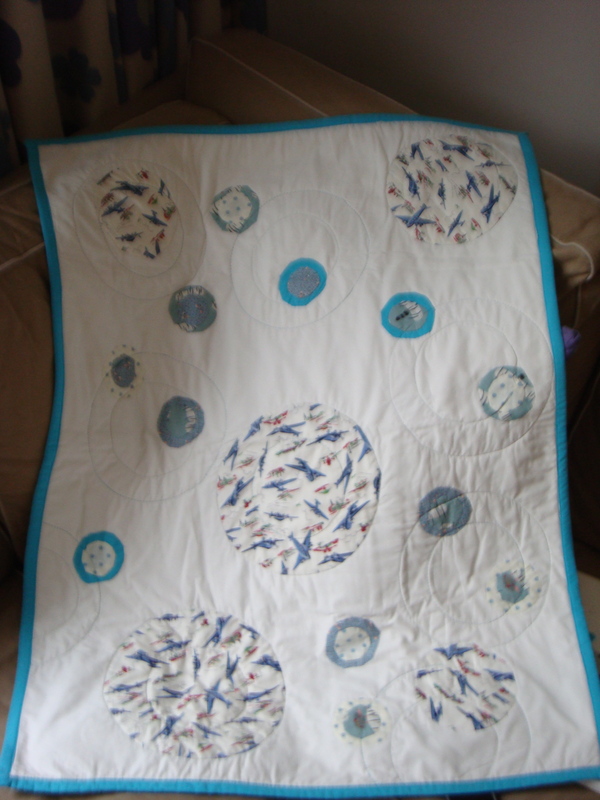 It’s really easy but you do need to do a quite a bit of hand sewing to applique all the circles onto the quilt top… I really like the simplicity of this quilt though, it’s modern and fun for a child. I didn’t want a style that would be too fussy or old-fashioned for the boys. 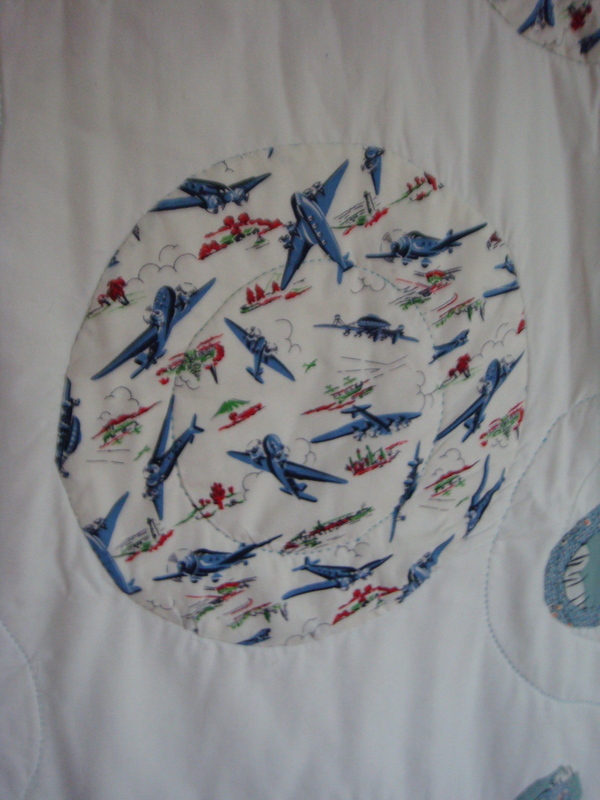 The hardest part of all was finding quilting cottons for boys that weren’t too twee and that were fresh and fun. I started hand quilting the top but realised this would take a long time. (So, quilting traditionalists look away now!) 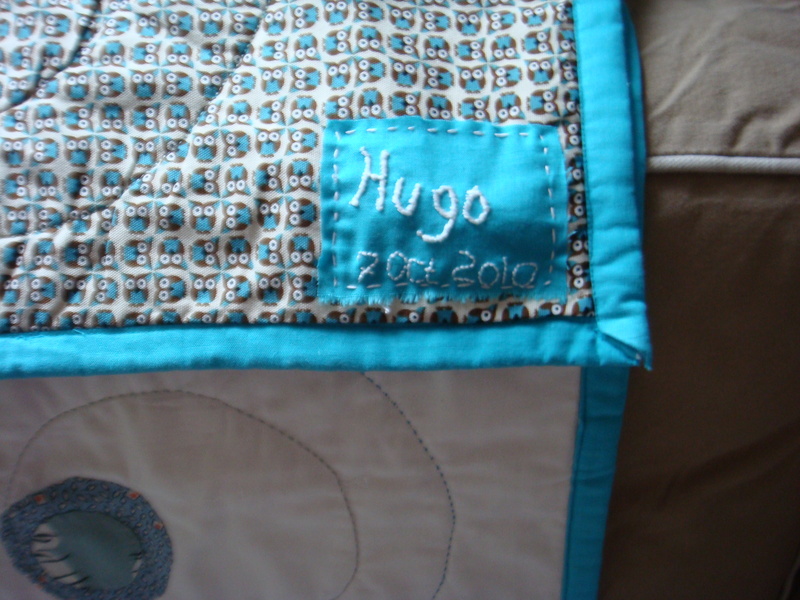 I quilted by machine – my machine has a quilting stitch that if you use invisible thread (monofilament thread) it looks just like a hand stitched running stitch – genius. 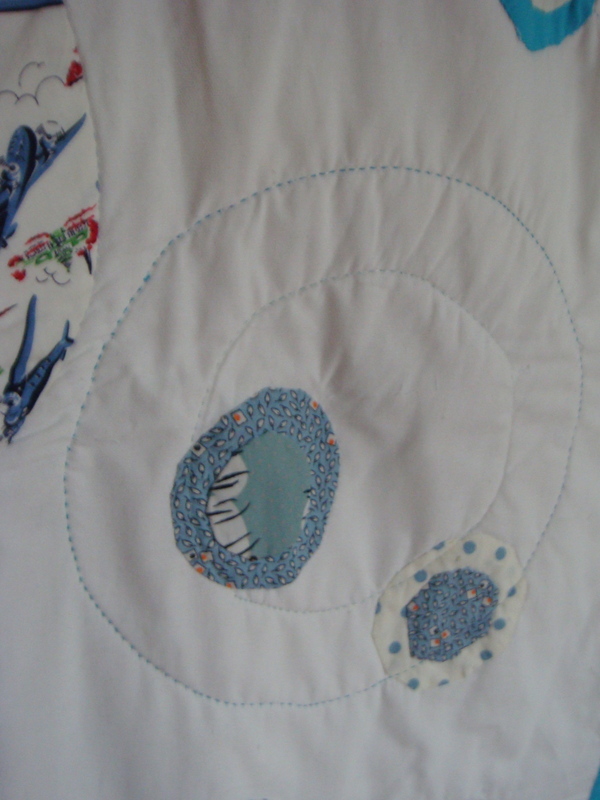 It’s quilted with different sized circles on top of the circles that are appliqued on with matching threads. In its unfinished state, I wasn’t particularly motivated to finish it, it looked like a mess. Another Freya disaster! But then I added the trim and somehow it’s been magically transformed into something that I’m quite proud of. And a little handmade label to finish it off! Cute quilt! I like the little hand sewn tag at the bottom corner. It is difficult to find nice prints for boys. I do agree. Thank you! 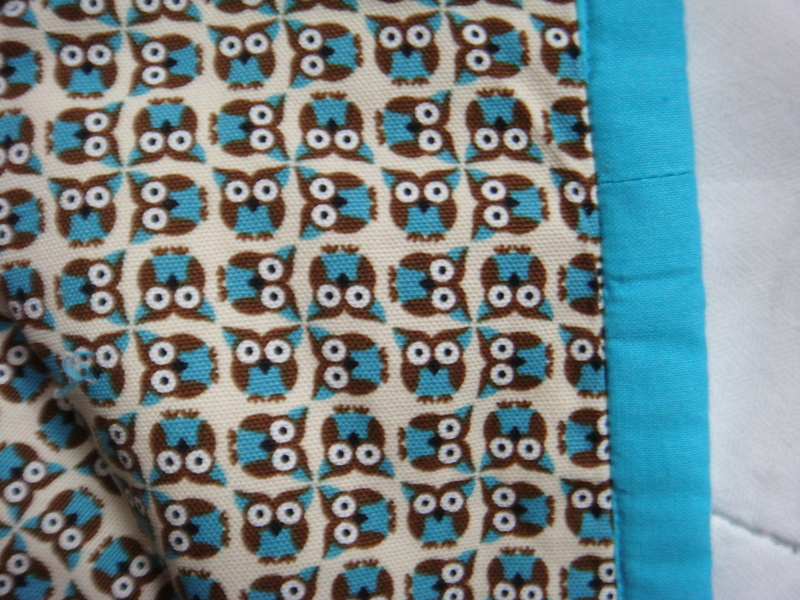 I found it a real struggle to find suitable quilt fabrics for boys. There is so much choice out there for girls but not for boys! I love your quilt, and the simplicity of it. Applique is one of my favorite things to do in quilting, and this is just great. And you are right about it being easier to quilt for girls. I have a lot more difficulty finding the right combination of fabrics for boys than girls. But yours turned out great, so congratulations!